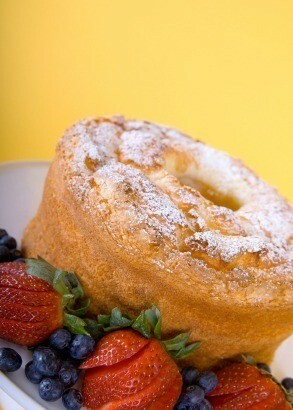 Light airy angel food cake is delicious alone or enhanced with fruit and other ingredients. This page contains angel food cake recipes. Different twist on angel food cake. What a great holiday cake and so easy. A comfort food with a hot cup of coffee or tea. This also makes a great gift. Preheat oven 350 degrees F. Use an electric mixer, beat cake mix, water, pumpkin and spices. Pour batter into a tube pan and bake for 30 to 35 minutes. Cool cake before removing from pan. Sift flour with 1/2 cup of the sugar and sift together 4 times. Beat egg whites until foamy. Add salt, cream of tartar, water and flavoring. When stiff, beat in the sugar, 1 1/4 cup gradually. Fold in the flour and sugar with a wire whisk. Use about 1/2 cup at a time. Bake at 375 degrees F for 35 minutes. Mix the cake mix and pie filling together according to the cake directions EXCEPT DO NOT ADD ANY WATER TO THE MIX EVEN THOUGH CAKE DIRECTIONS CALL FOR WATER. Bake in a 9 x 13 inch pan according to the cake mix directions on the box. Simple, low fat, and delicious! Preheat oven to 375 degrees. In medium bowl, with fork, mix flour, cinnamon, ginger, allspice, confectioner's sugar, and 1/4 tsp. salt; set aside. In large bowl, with mixer on high speed, beat egg whites, cream of tartar, and 1/2 tsp. salt until soft peaks form; beat in vanilla extract. I need a diabetic Angel food cake recipe. Can anyone help me? I just bought a box of Splenda to use in baking for diabetics. It says you can substitute 1part Splenda for 1 part sugar. I don't see why you can't use it instead of sugar for your regular Angle Food cake recipe.. I also noticed at another grocery store a "sugar substitute for baking" product but I can't remember what it's called. Angel Food Cake sounds good, I think I'll make one for my Seniors I work with at a nursing home. You won't find a recipe for "diabetic" Angel Food Cake - it is made with highly processed white flour which is very high G.I. Diabetics need to eat complex carbohydrates such as wholemeal flour with added whole grains (such as multi-grain bread). This would be far too heavy for an Angel Food Cake. Just eliminating the sugar content is not enough. 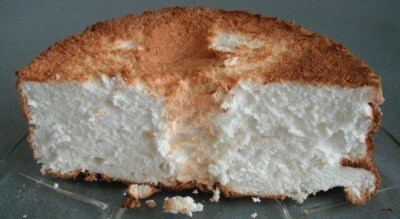 Although angel food cake is a high glycemic food, it is the least problematic of the cakes. It is usually served without frosting and has absloutely no fat. Portion control is the way to go . Ask your nutritionist or diabetic educator how to work it into your eating plan for special occasions. Sorry, you are not going to find a substitute for this. Make the Betty Crocker one and eat what would be measured for the unit you are allowed. The falacy of eating "diabetic or non-diabetic foods/candy" is not a funny subject. This is not how the diabetic teaching is now done. Even 'diabetic' foods have content that must be measured the same way as any food consumption. A carb, fat, protein all has the same calories no matter what food substance it is in. You learn to live within your calories and carbs allowed. By law, all items to be consumed/chewed must be labeled. So if you truely want Angel Food Cake, then eat a small slice. An AFC cut into 12 pieces has 150 calories, 45 grams of carbs. A slice of Country hearth w/w multigrain bread has 90 calories, 17 grams of carbs. For a slice of cake, think 3 slices of w/w multigrain bread. Then adjust your diet. I am a diet controlled diabetic as well. Sometimes when we crave something, 1 single bite will be just as good as the whole piece. So I take 1 bite of things I crave! I am looking for a recipe for black raspberry twirl angel food cake. Here is a similar recipe, it might be the one you are looking for. I would just add black raspberries, blackberries or black raspberry jam. 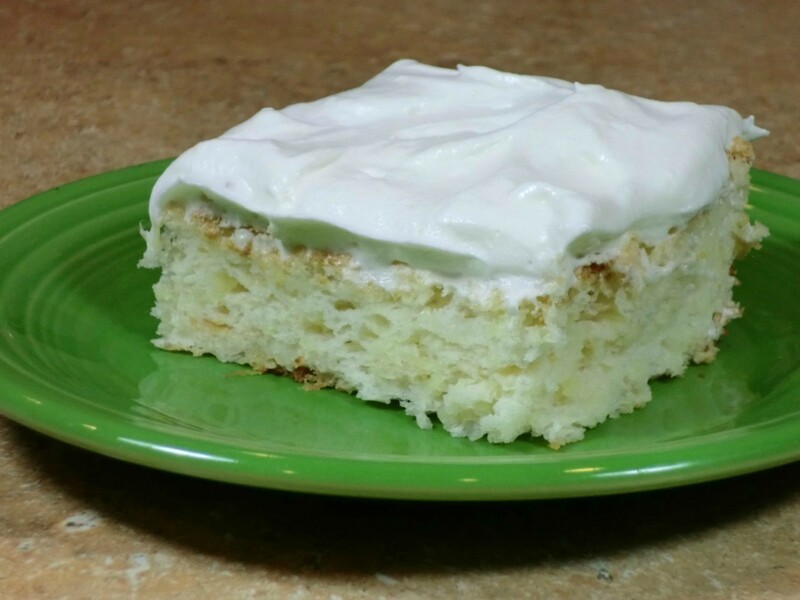 This page contains pineapple angel food cake recipes. A simple delicious dessert can be made with these ingredients.